As part of the company’s celebration of the 20th anniversary of the ACID brand, Drew Estate has announced the nationwide release of ACID Plush. Attendees of this year’s Tobacconists’ Association of America (TAA) trade show and conference got an early look at this cigar. 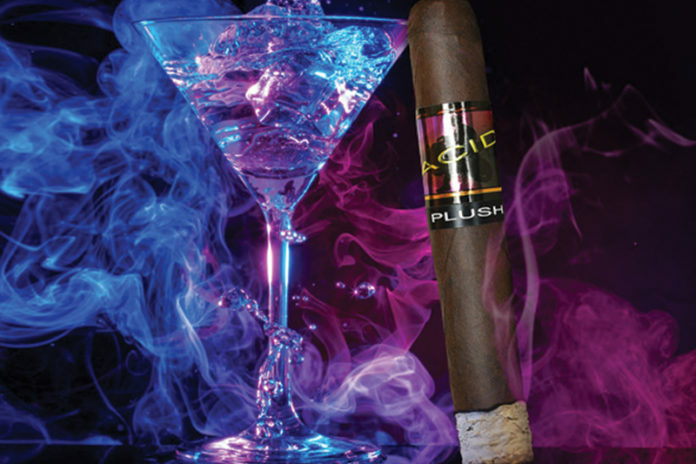 ACID Plush is described by Drew Estate as being a rich, dense and wonderfully aromatic cigar. 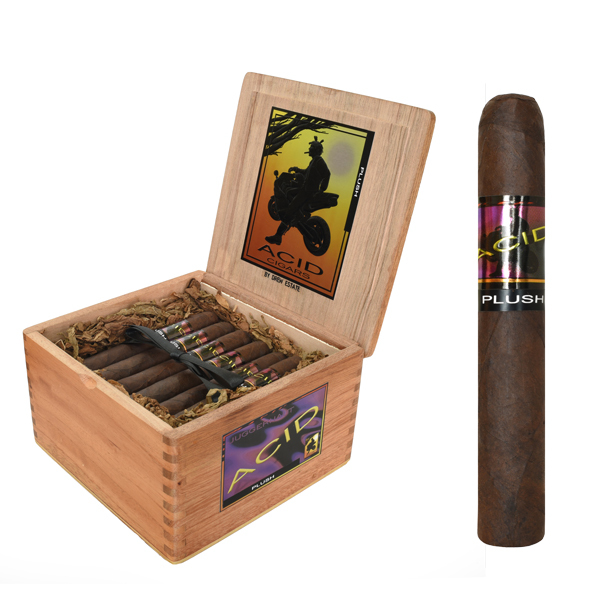 It has a Broadleaf maduro wrapper, lush Nicaraguan binder and filler tobacco, and comes in a 5 1/2 x 50 size. ACID Plush is sold in 24-count boxes and has an MSRP of $230.40. It will begin shipping in mid-April. 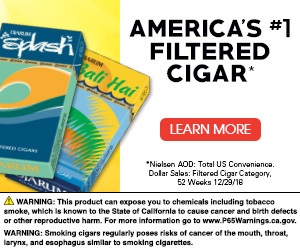 For all the latest news from Drew Estate, visit drewestate.com.